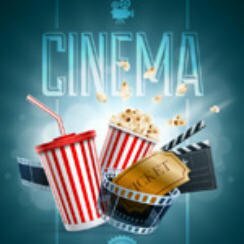 Popcorn Cinema Show takes a look at the Movie Releases for 3rd June 2016 for the UK, US, Australia and New Zealand at the cinema, plus all the weeks film news. This weeks big release sees Alice Through The Looking Glass released in the UK, US, AU & NZ. So for a second week the X-Men stays top in the UK whilst entering the US chart in top spot. It took $65,769,562 in North America and £2,543,481 in the UK. A struggling 200 year old British bank is under threat from US and Japanese investment banks. A private eye (Ryan Gosling) has to work with enforcer Jackson Healy (Russell Crowe) in order to solve a missing girl case. This is the story of girl from a small town who forms a bond with a man she is caring for following his recent paralysis. A former boy band member will try anything to keep his celebrity status. Cinema Releases May 5 2017 Will you be Unlocked by Sleepless?